This camo tee for only $8. I like this new cardigan. This button front tank dress - for only $39. This cute and comfy grey gingham pajamas - made of brushed cotton. This pink floral trench coat for 60% off. Everything is $10 and under HERE. This linen tee for only $13. I like this classic satin blouse. This yellow ruffle blouse for only $25 (also in off white). These blush jeans for spring/summer. I like these jeans for almost 70% off. This sweatshirt is only $25 - and gets 5 stars (and over 100 reviews). These striped espadrille sneakers for only $28. This tie front camo sweater for only $20. This striped shirtdress is 45% off. This floral ruffle wrap dress is a great deal for $40. 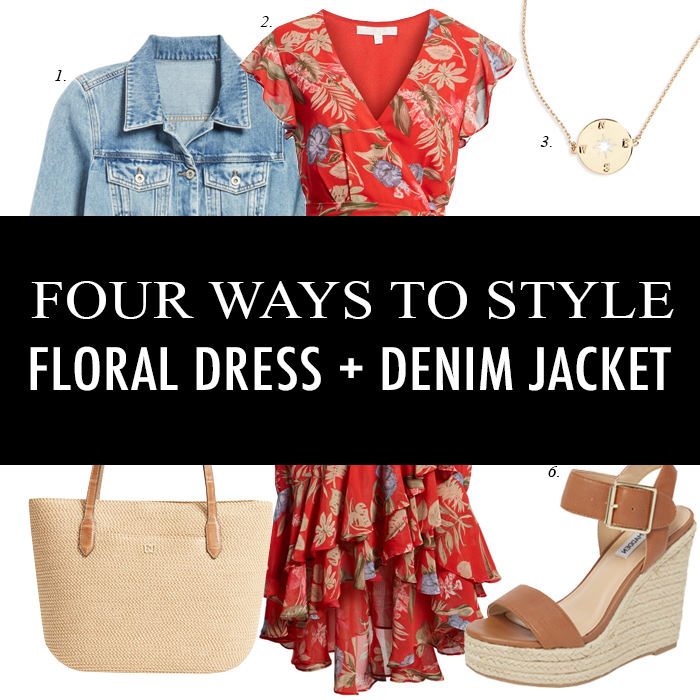 I don't know what it is about a flowy, floral dress and a denim jacket but the combo gets me every time! I love it! Great options Lisa, my favorite is the first one! I cannot even tell you how much I love those dresses, especially the first one. Soooo pretty! 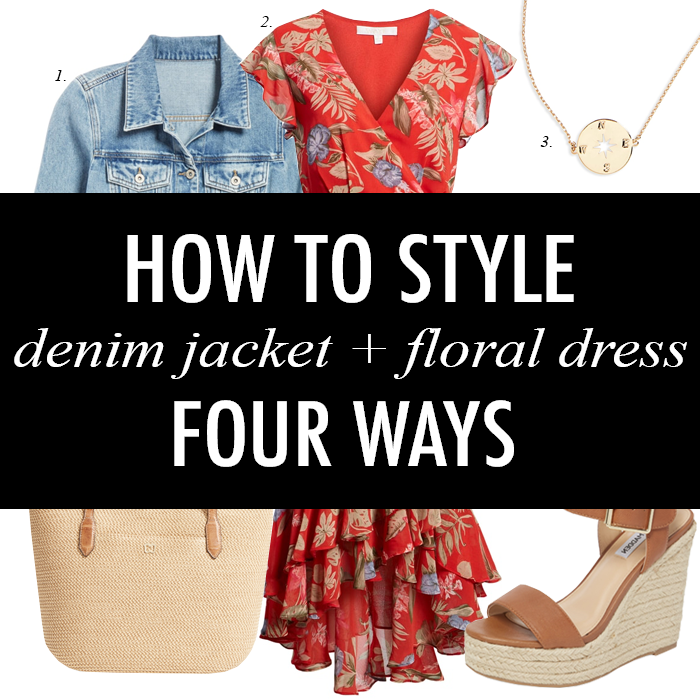 My denim jacket season is in full swing! It's so funny how much I want to wear it every spring! Wow, all three of these dresses are beautiful and would look amazing for Easter or just any Spring special event. Loving the gorgeous bags, too! 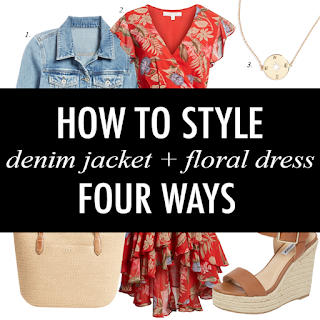 I love the look of a floral dress and denim jacket! All of these dress are so pretty! 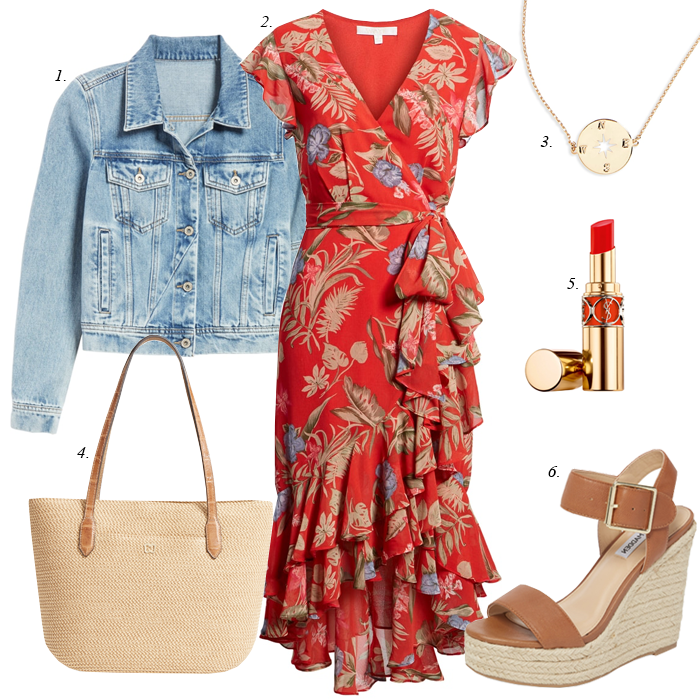 I'm loving the first ruffle wrap dress! 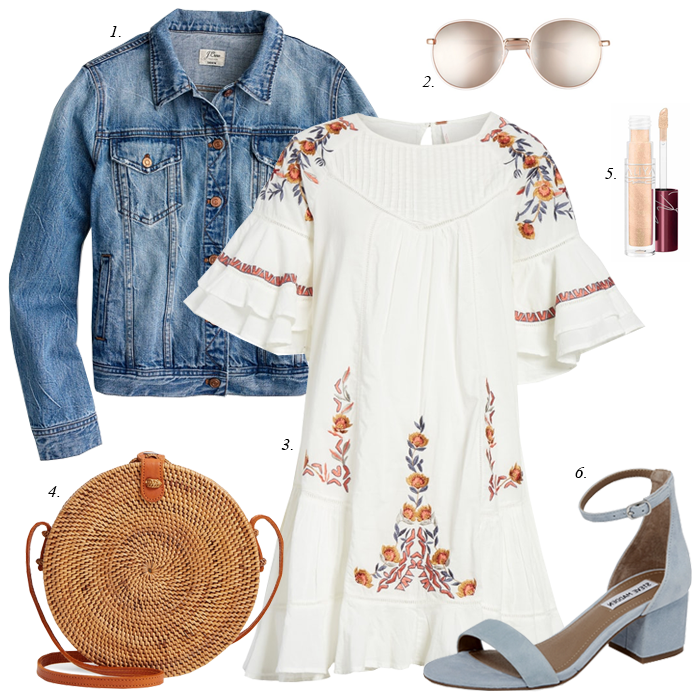 A dress + denim jacket will always be a go-to look of mine! So cute! 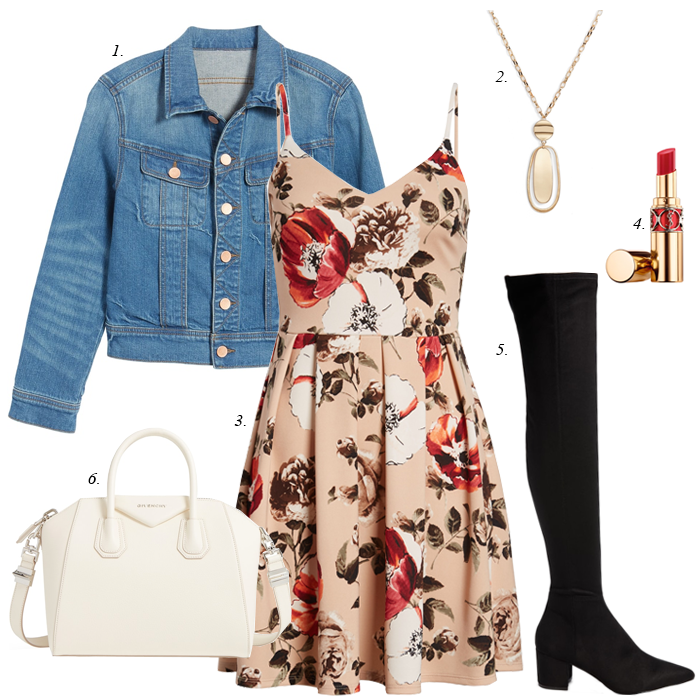 Still in search of a floral dress that works for me. These look lovely but everything I have tried so far makes me look pregnant and after 4 boys that is not the look I am going after lol! Might try one of these! These looks are so gorgeous. I would wear all of them especially the last one.